Looking at the daily chart..
Lots of support at 1525, so only a significant close BELOW that level would turn the chart bearish.. Many looking at 1540 level as key, so a break there MAY see quick sell..but 1525 looks stronger. 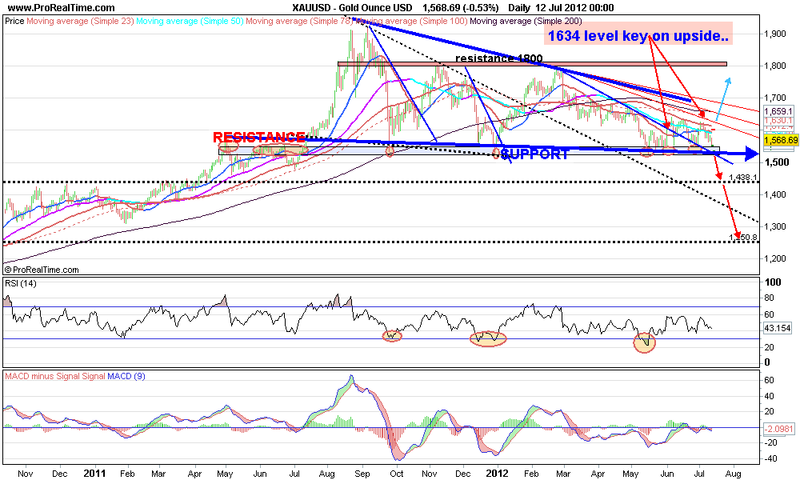 IF we break 1525 where could it go?